Jan Thomas was instrumental to the establishment of AMSI. 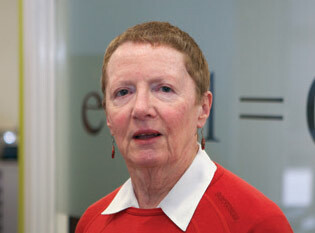 As the Executive Officer for AMSI until her retirement in 2011, Jan was the government and member liaison person at AMSI, continually pushing the message of the importance of quality mathematics education to Australia’s national interest, through her participation in reviews and submissions. Her deep knowledge of the mathematics education landscape spanning over twenty years, her contributions to gathering the necessary data to reinforce subjective observations of the health of the discipline, and her active involvement in pursuit of positive change has been an asset to the advancement of mathematics education. Jan has worked closely with all the AMSI Directors and the board. She has a bottomless experience in dealing with politicians, the press and bureaucrats and has brought this to bear to AMSI’s considerable benefit. She has been deeply involved in almost all aspects of AMSI’s activities and has been tireless in communicating with our members. Occupying an honorary position at AMSI, Jan continues to support AMSI with her sound advice. Jan Thomas is an iconic figure in Australian Mathematics. Few individuals in the last 20 years have had such an impact on the discipline.